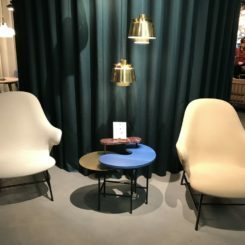 After witnessing the big success of this year’s IDS Toronto and imm cologne editions, we were wondering what would bring new and we were anxious to also see some new faces and to discover fresh ideas from the sphere of everything related to interior design and contemporary living. 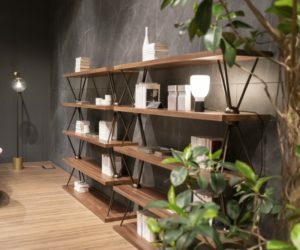 Being a lifestyle show, Maison & Objet is mainly defined by an extraordinary diversity, covering everything from design, furniture, decor to accessories, textiles and tableware. 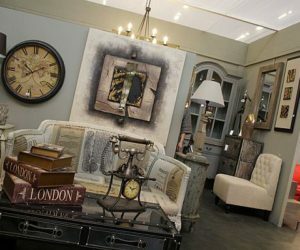 The fair is more focused on the general household and lifestyle trends and each year it celebrates a new designer. 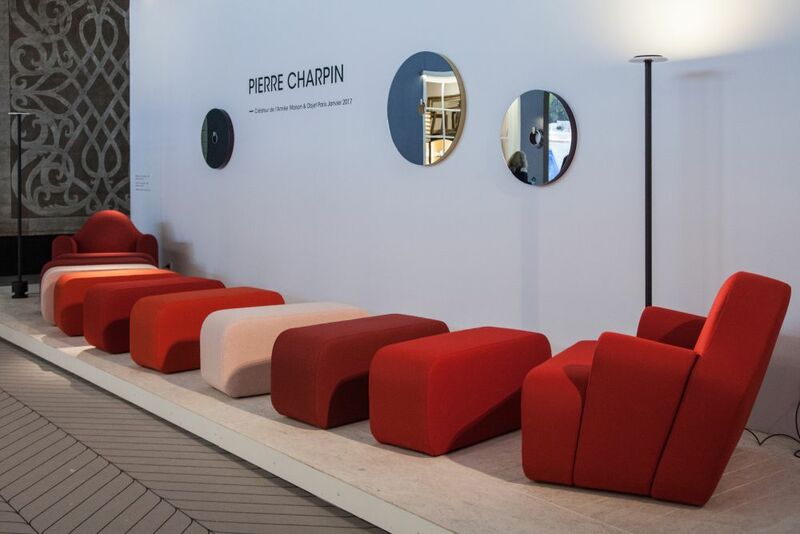 The Designer of the Year for 2017 was Pierre Charpin. 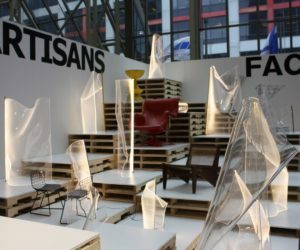 Also, each year one material or trend tends to take the spotlight and a lot of designers present at this edition included glass in their creations. 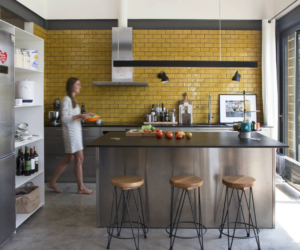 There was also a strong inclination towards antique finishes and vintage vibes. 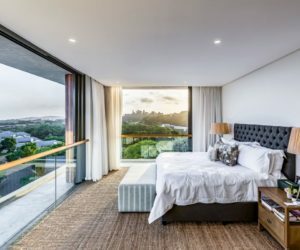 Check out our favorites for more details. 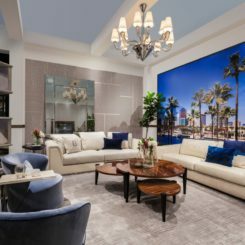 One of the biggest and most impressive installations at the event was “” created by , the global leader in creative aluminum structures and a studio with over 60 years of experience in cutting edge manufacturing technology and design. The installation is a materialization of the concept which gave the project its name, a visual representation of silence and a reflection on inner peace. Another extraordinary installation was presented by , the leading world specialist in the area of indoor green design. 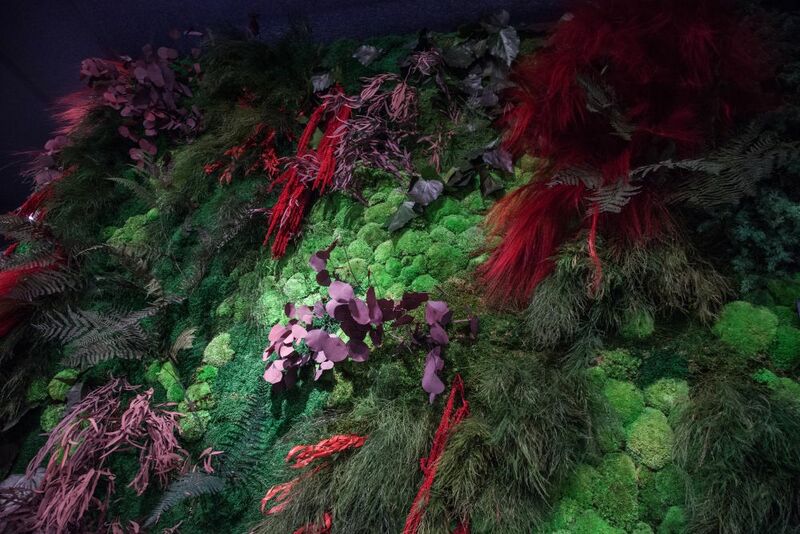 The installation the same as all the products offered by the company was entirely custom made using natural plants which are preserved using innovative technology. 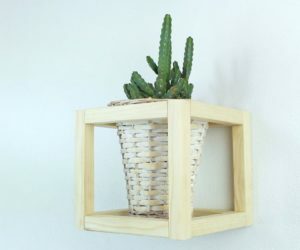 No watering or light is needed for it to maintain its beauty and freshness which is pretty amazing, raising the standards when it comes to vertical gardens. was present at the event and used this opportunity to mesmerize everyone with a collection that perfectly reflects the values that guides their creative process: uniqueness, creativity and a desire to create the unexpected and to set the highest standards. 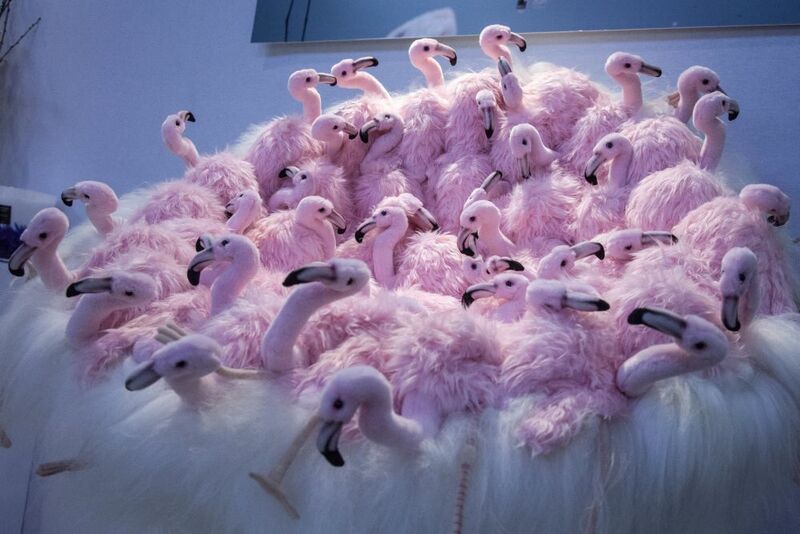 Products such as the Flamingo Chairs stand out from the crown and for good reason. Founded in 2015, the took the world by surprise by offering a refreshingly unusual perspective on furniture. The latest collection takes inspiration from nature and revives some already existing designs with a contemporary and unexpected twist. 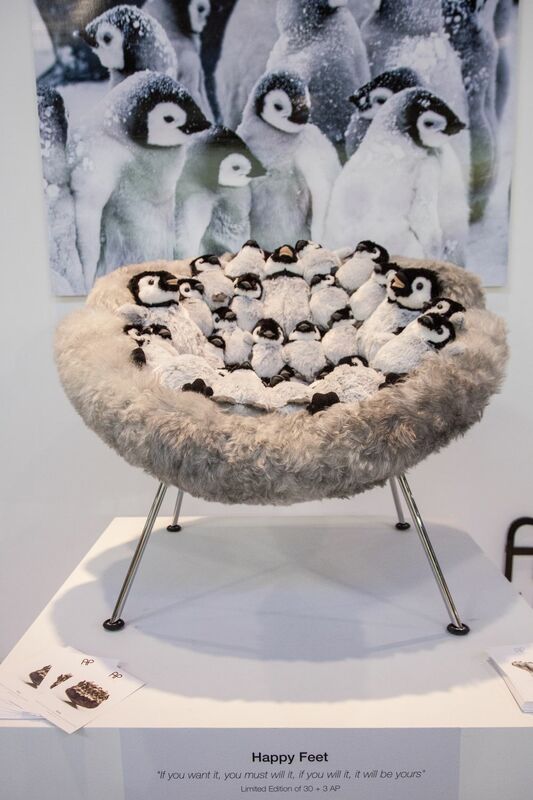 The series of chairs present in the collection incorporate powerful images of animals such as snow seals, turtles, flamingos or, in this case, cute little penguins. 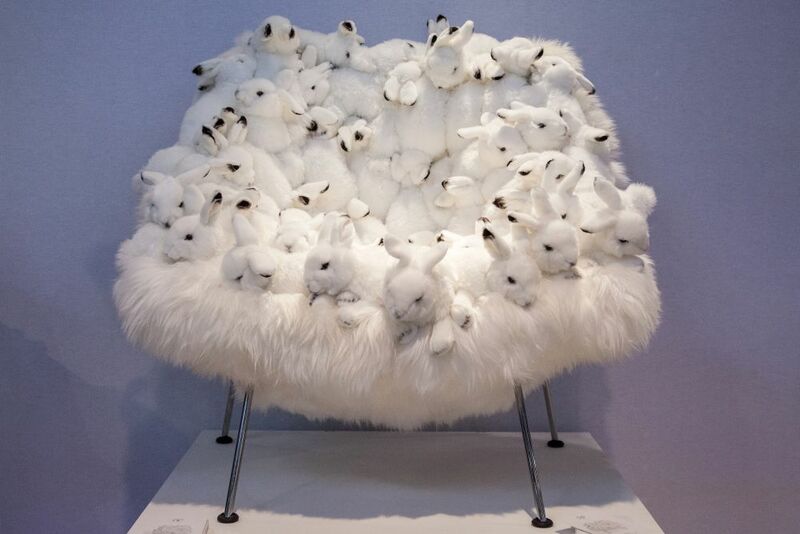 How can you not like this chair when fluffy white bunnies love it so much? 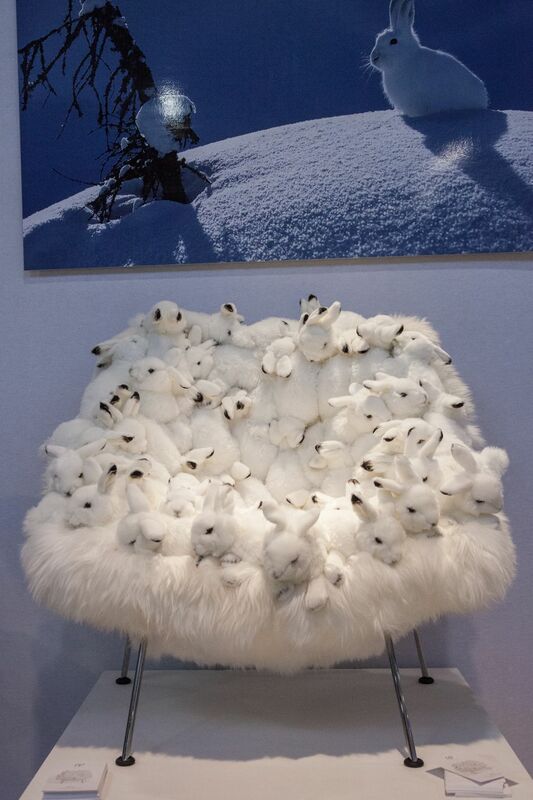 How cozy would you imagine it would be to sit in a chair full of fluffy little white bunnies? 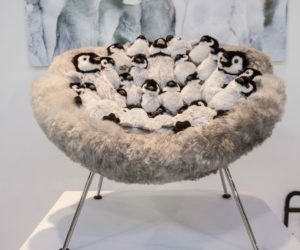 They’re not real, obviously, but they definitely capture all the cuteness in the most wonderful of ways. 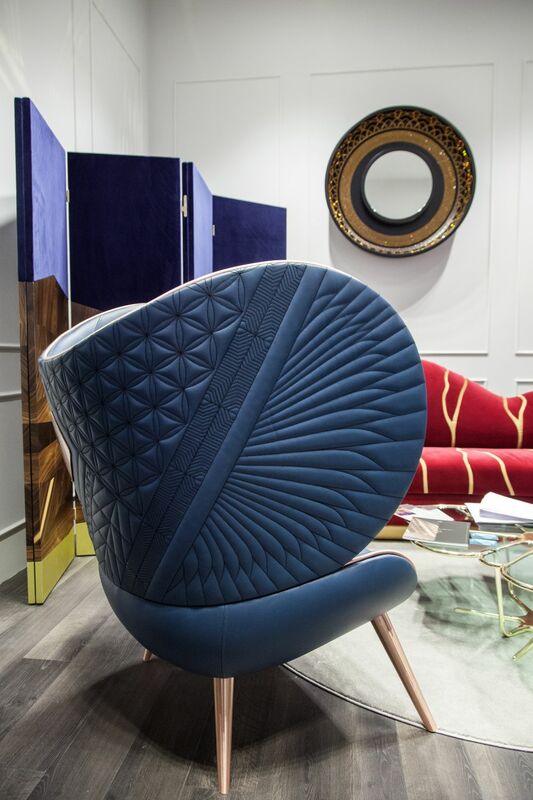 The collection also includes the Hunte Chair which features wild boar skin on the back that is in perfect harmony with the new contemporary twist featured by the piece. Each individual chair type in the new collection is inspired by an animal and captures its defining characteristics through carefully-chosen covers and materials. 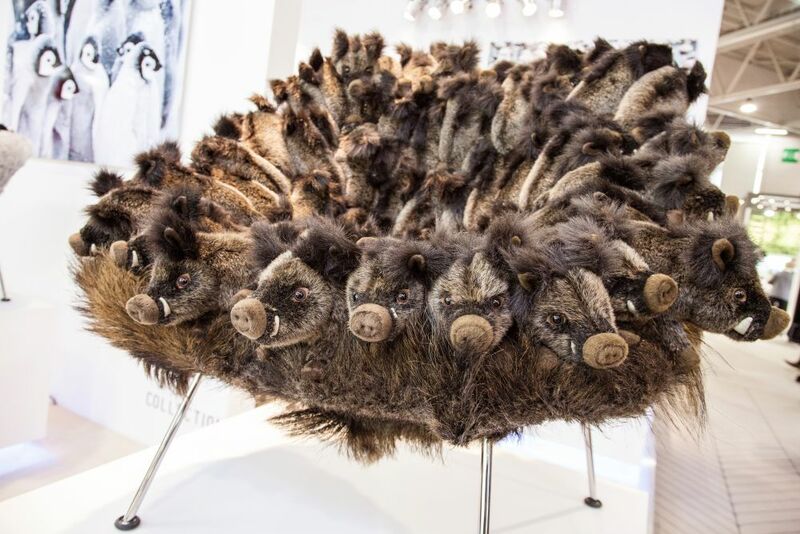 The swan chair has a delicate look while the the wild boar type has a more rough design that;s equally well planned. 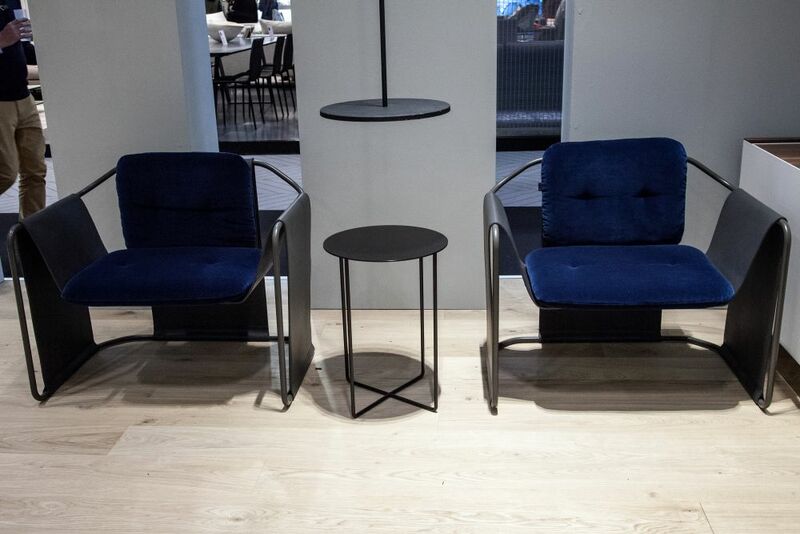 It’s the subtle details that allow these chairs to stand out. This is the Acoma chair, a piece of furniture featured by . 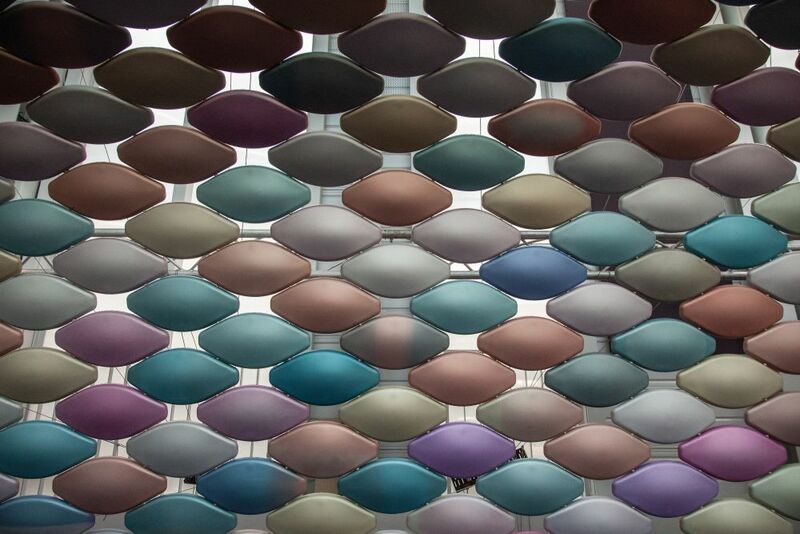 The inspiration for its design was the beauty of the ceramics made by artisans from City of Sky in New Mexico. 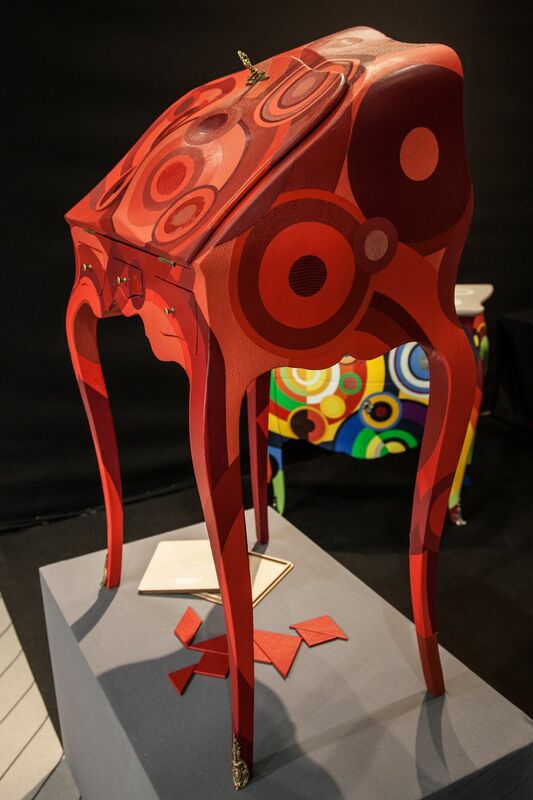 The designers transformed that art into a modern chair with classical features. The chair’s back is the most visually interesting part while the seat itself is more simple and focused on comfort and ergonomics. 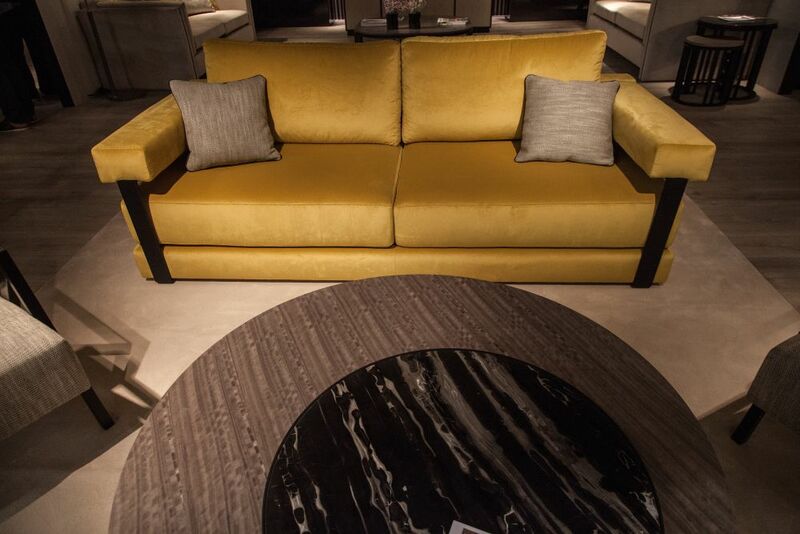 The same brand also showcased here an interesting sofa called , a word that describes the art of repairing pottery with gold and lacquer and with a japanese origin. The sofa translates this concept into a design that’s as beautiful as it is comfortable. 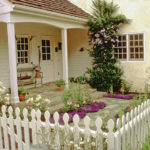 The overall design is at the crossroads between modern and traditional. 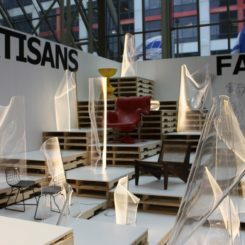 , named designer of the Year at Maison & Objet this year, was present with a concept called Slice. The easiest way to describe it would be as a chair although that wouldn’t fully include all of its defining characteristics. 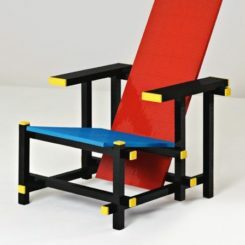 The idea behind the chair is not entirely new, being first mentioned in 1996. However, it was only now that the concept tully took shape. 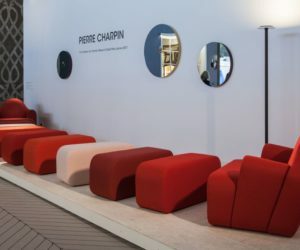 The idea behind the project was to create a comfortable chair which could be complemented by one, two or several ottomans in order to create modular seating for flexible spaces and settings. This is , a sofa designed by , a trend-setting brand with a strong contemporary and urban attitude and an inclination towards furniture that embraces the boutique feel. 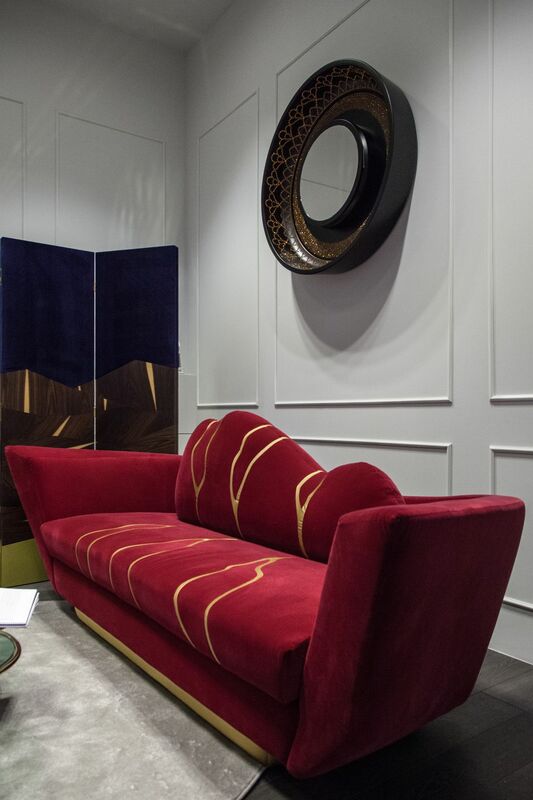 This sofa was designed with velvet upholstery and with synthetic leather for the bottom and sides. also presented at the fair an unusual coffee table that was named . Its design is very interesting in the sense that it combined several different forms, materials and finishes. 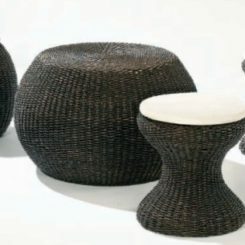 The round top section is made of wood veneer with a satin finish, the same as the main structure. The base is metallic with an iron finish and there’s also a section covered in synthetic leather. 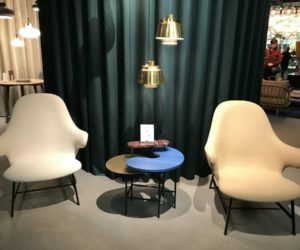 Like we mentioned in the beginning, there was a considerable inclination towards antique and vintage designs at this year’s Maison & Objet edition. 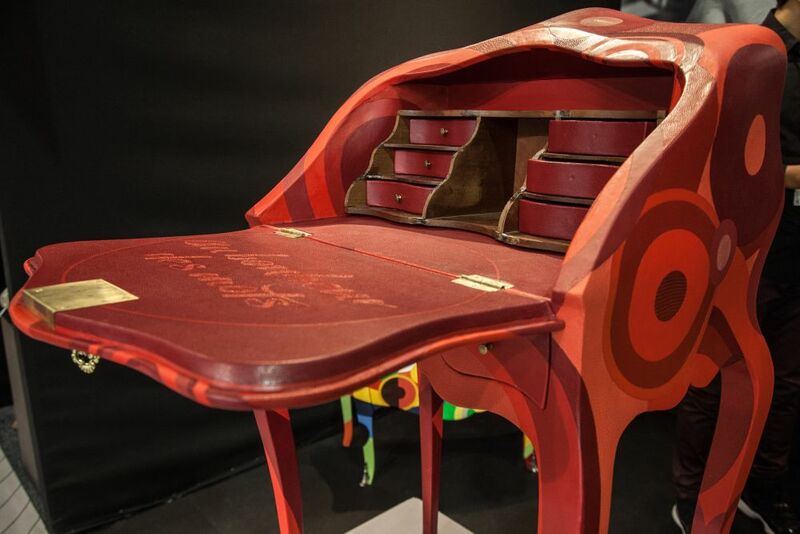 One of the most eye-catching pieces was the Promise Number 1 secretary desk designed in . 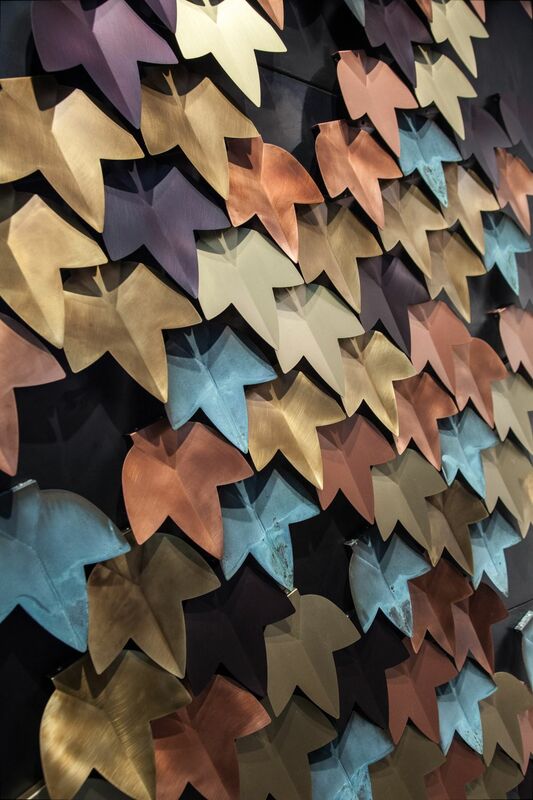 The contemporary twist comes in the form of leather fragments in various shapes and colors that cover the piece. 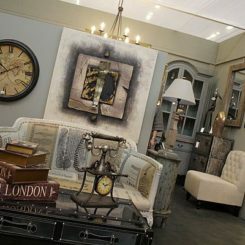 was also present, with new designs that are in sync with the new trends and the preference for glass and vintage elegance. The sofa with its clean and elegant design was complemented by the coffee tables which combine metal frames with tinted glass tops. 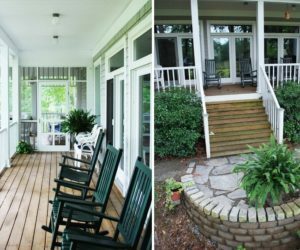 The combination is simple and stylish, putting together materials, textures and colors that complement each other and result in harmony. Amura came with a beautiful new armchair they called . 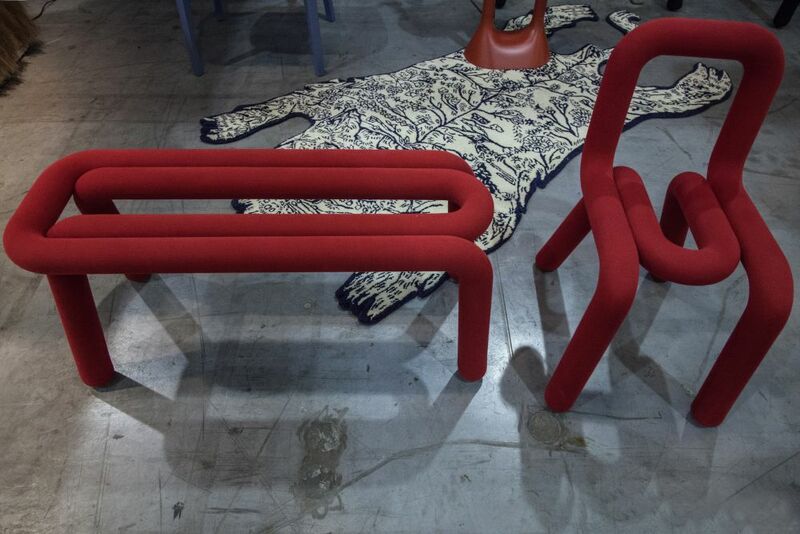 The chair has a simple structure but its design is a little more complex than usual. The seat is suspended at the center of the frame and this gives the user an unusual and unique seating experience. Of course, this doesn’t interfere with the comfort offered by the armchair. 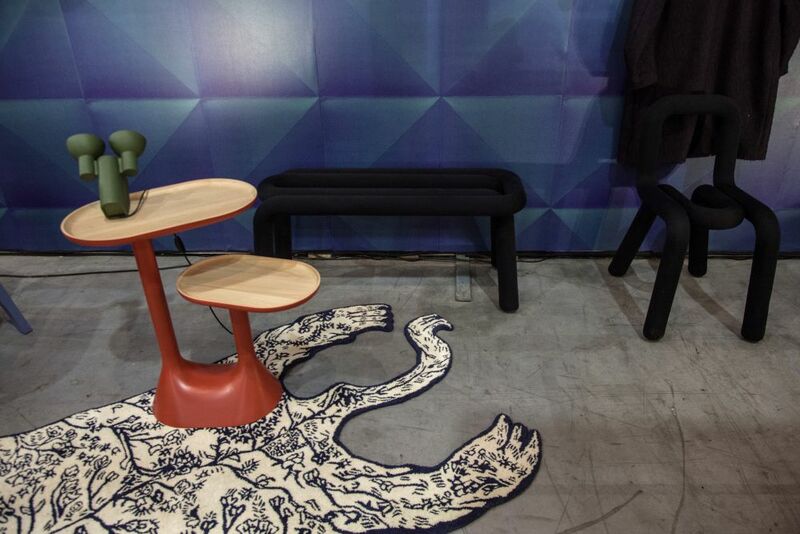 Another product that caught our eye at the fair was the bench by Porada. 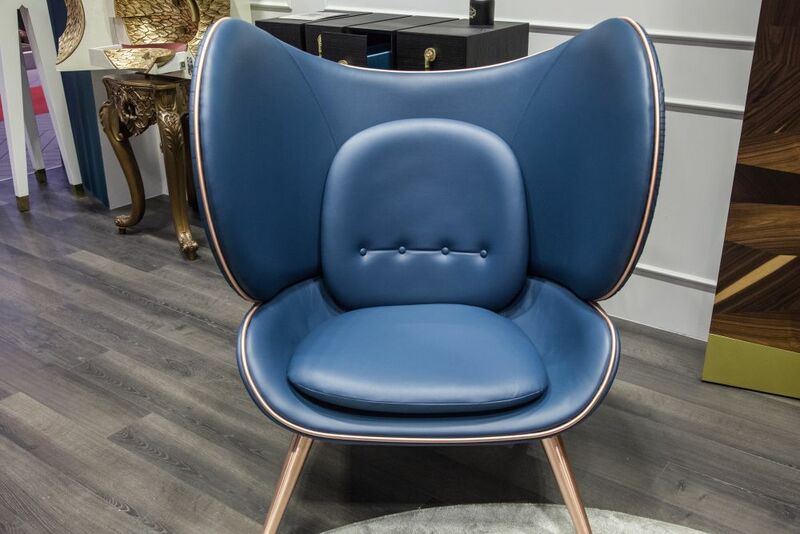 We love the elegant frame made of solid canaletta wood and the fabric-upholstered seat with buttons which can either match the fabric or feature a different, contrasting color. 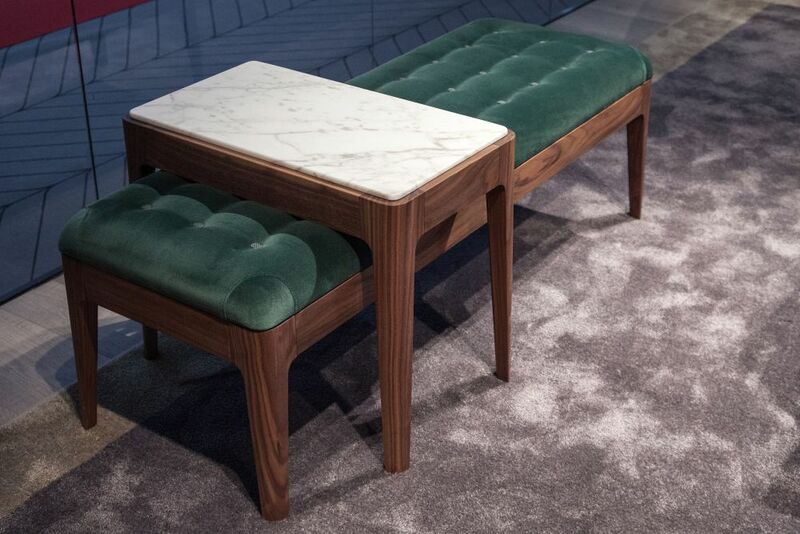 The bench can be paired with a matching side table with a marble top. 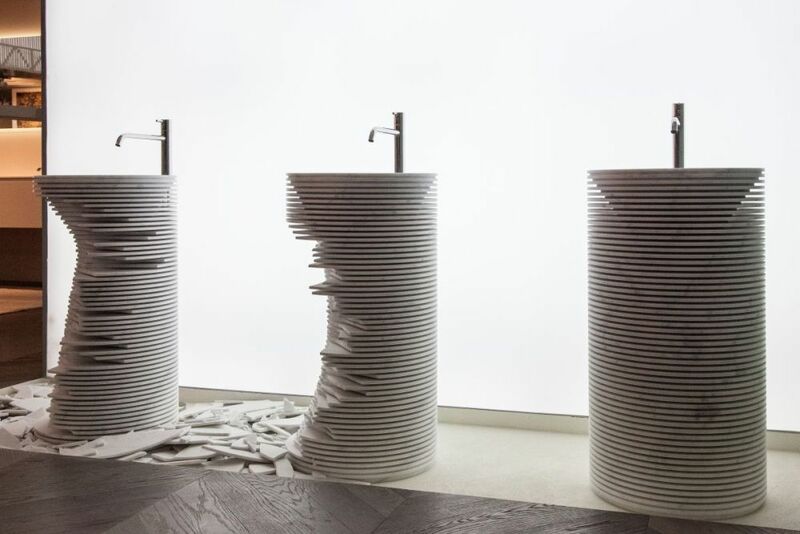 The star of the bathroom series at the fair was the sink designed by Paolo Ulian for Antonio Lupi. 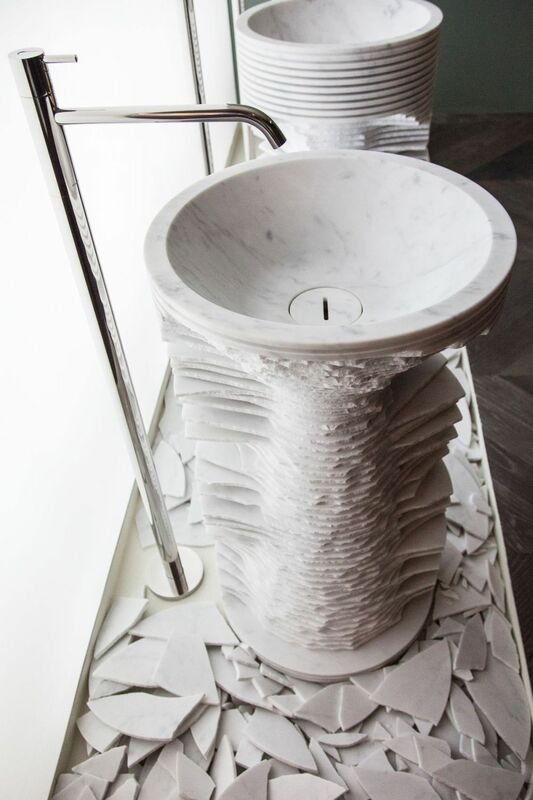 The idea behind the design was to treat the sink as a sculpture and to allow it to take shape by cutting pieces from the initial block of marble drafted by the machine. 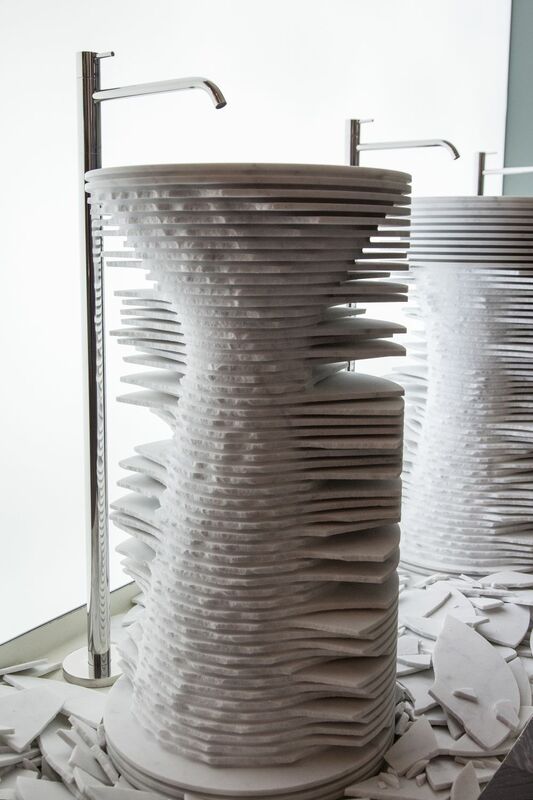 The 3D shape of the sink is first outlines by a series of cuts which forms thin trips of marble. After that, their edges are broken and the sculpture starts to take shape. It’s this process that was beautifully captured in this project. 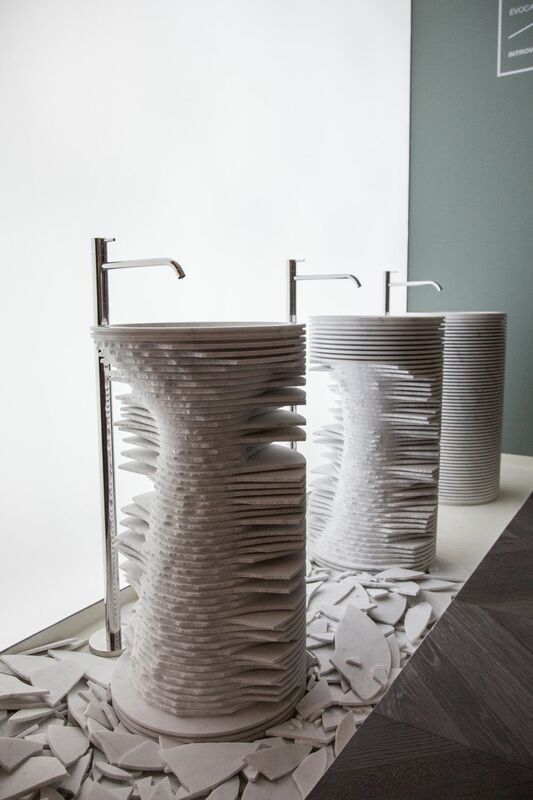 The result is a sink with a strong sculptural character and an artistic vibe. 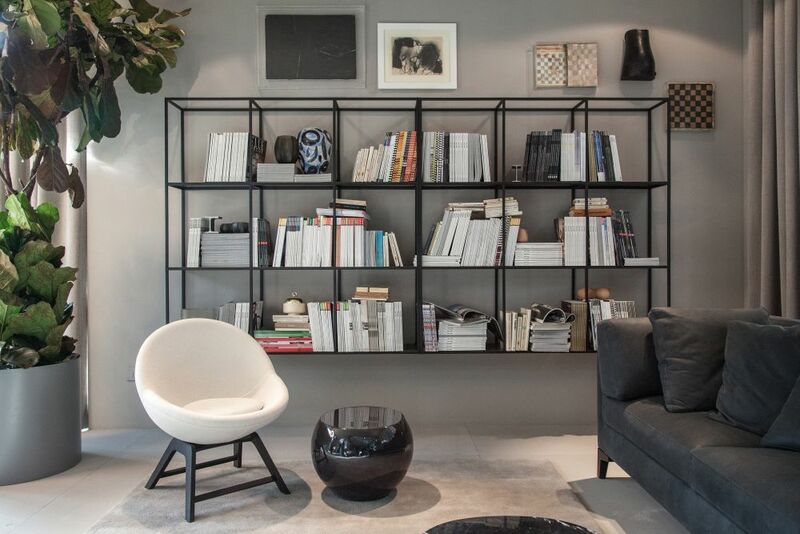 We also got to admire some beautiful new designs which make storage more elegant than ever. 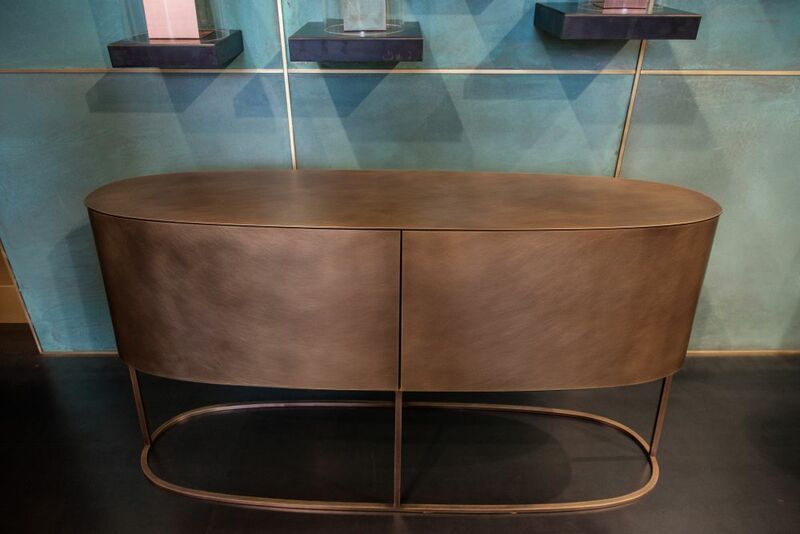 One of the pieces displayed at Maison & Objet was the sideboard designed by C Ballabio for Porada. It’s made of canaletta walnut and it has a marble top. Three drawers offer ample storage. 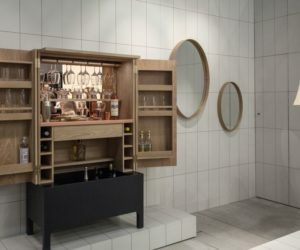 The sideboard was displayed here in the company of two mirrors by the same designer. They have frames in solid canaletta walnut that match the cabinet. Meet , a cabinet able to fit beautifully in corners but also in a lot of other spatial configurations. It’s delicate frame ensures a slender and elegant silhouette. 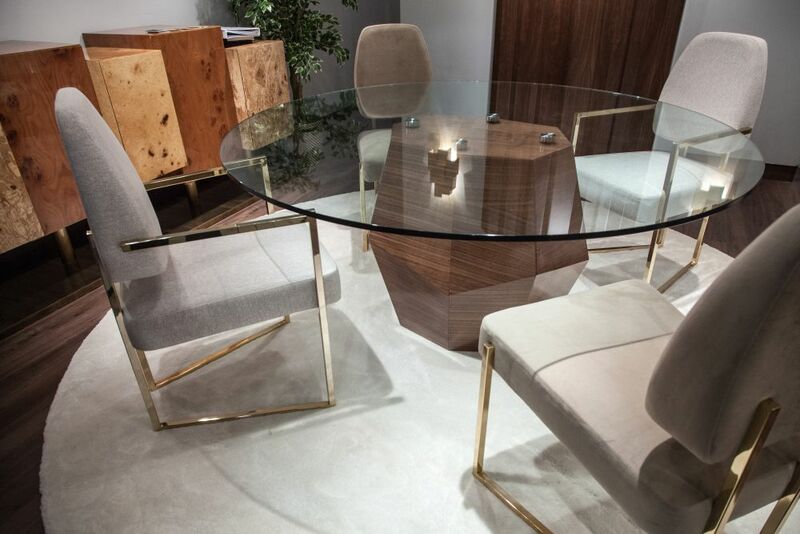 The cabinet’s main characteristic is the oval shape. Two large doors open to reveal the contents. 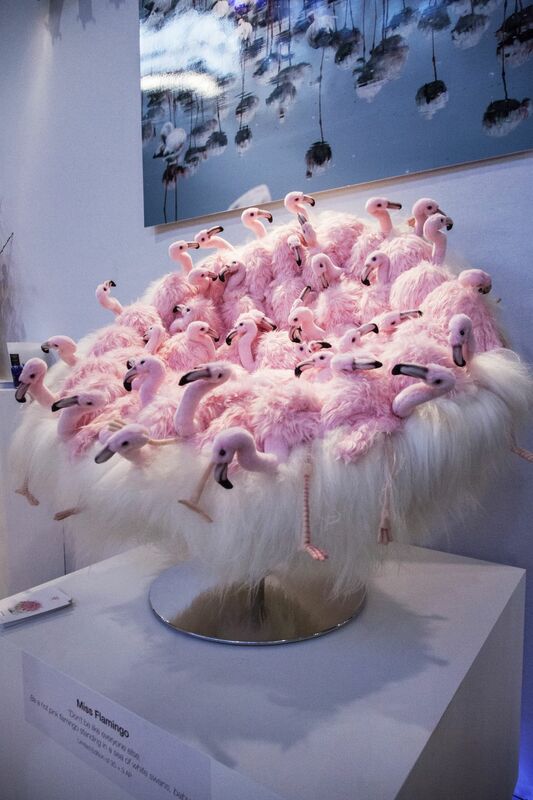 There are many uses for such an interesting accent piece. Another beautiful find was , a drinks cabinet with plenty of character. 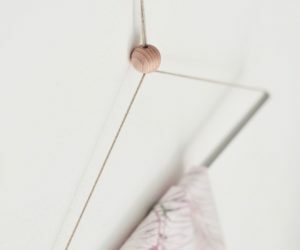 It has a timber construction with a lacquered finish and copper handles, a combination that’s elegant over anything else. 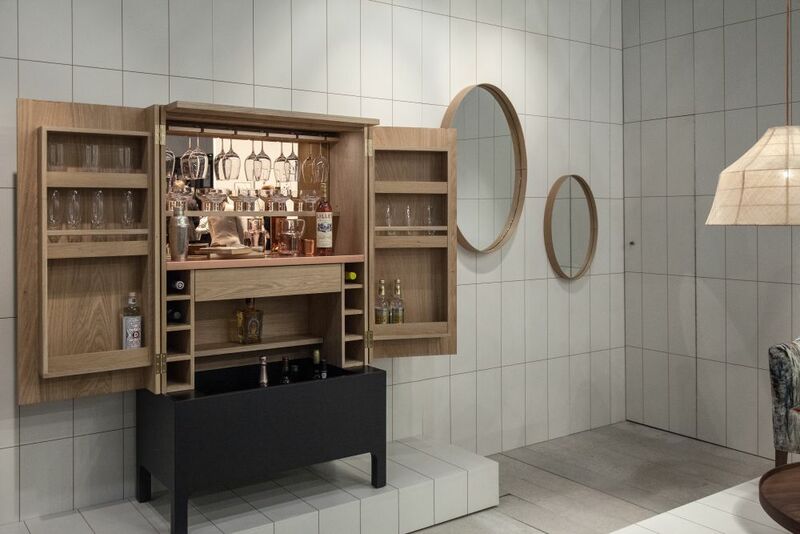 Two doors with built-in storage open to reveal shelves and storage compartments for bottles, glasses and utensils. There’s also a tinted mirror inside. 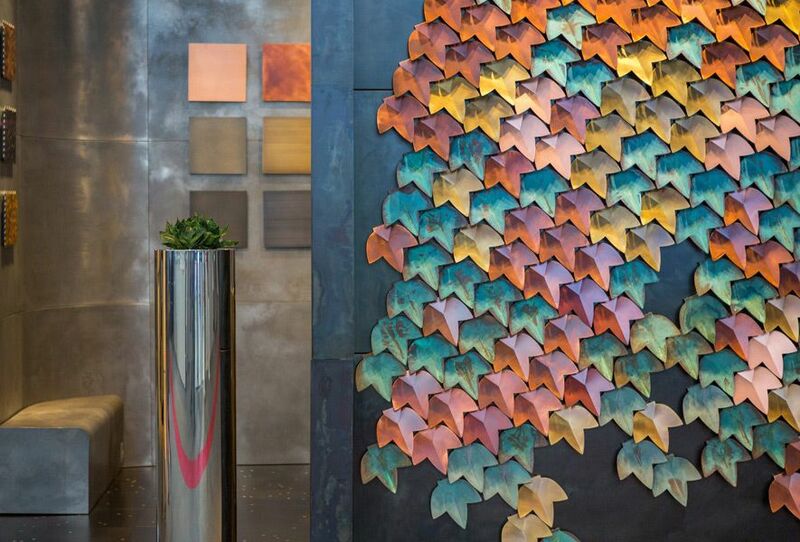 This is a vertical garden like no other and that’s in part because the leaves are made of copper which has been bent, oxidized and then finished with a brushed or greenspan design. 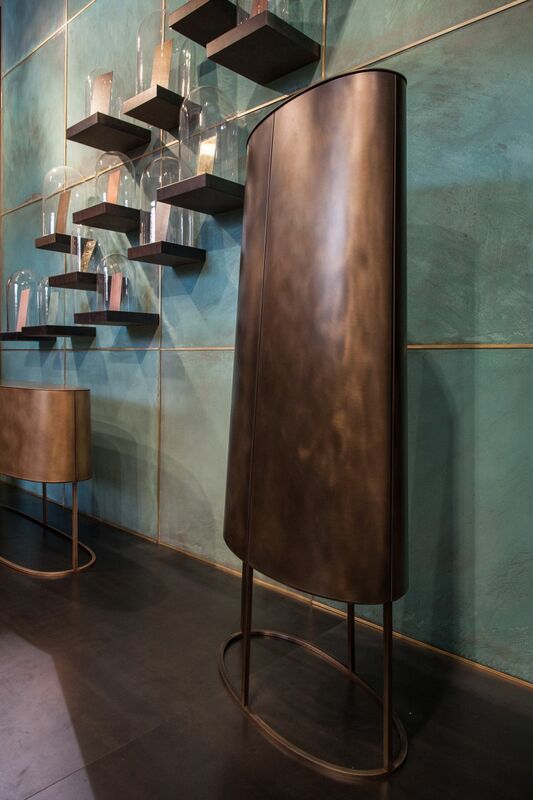 This is an installation designed by to serve as a decorative feature for modern interiors. 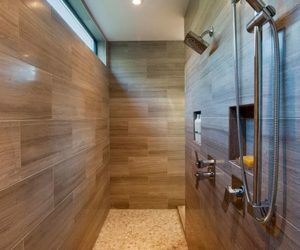 It comes in the form of tiles for both floors and walls. The effect on the space is a theatrical but also inviting one thanks to the colors used. 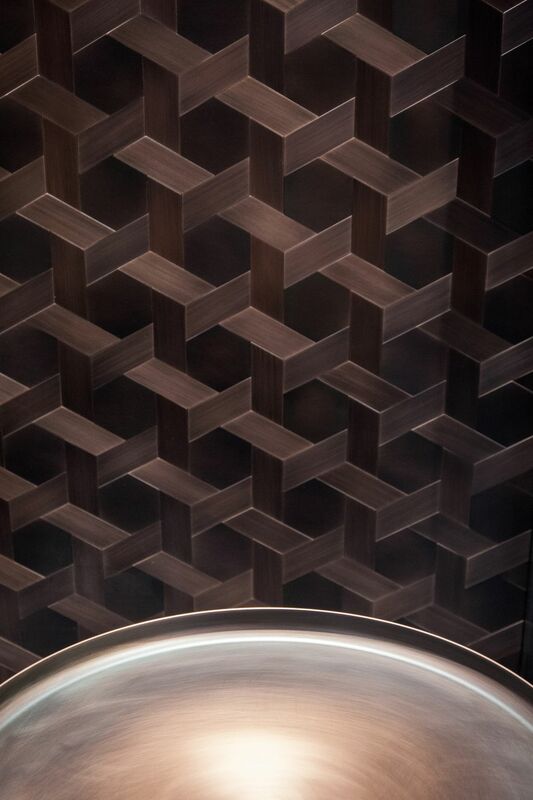 Inspired by a traditional weaving technique, the tiles can be installed on walls or floors in order to give spaces a sophisticated and elegant look. 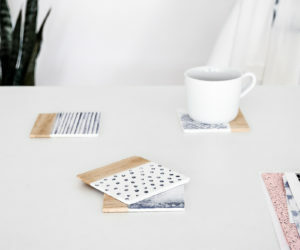 The tiles have a mesh effect with a striped finish and they’re suitable for a variety of different settings and spaces. 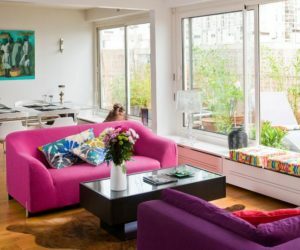 Some small furniture pieces such as side tables, ottomans or shelves can be added to a space later on, after most of the interior design was planned and organized. This is a set of two small tables from the collection. They come in two different heights and they have tray tops and bases made of iron. There was no shortage of decorative objects at the event either. Some of the most interesting exhibits were focused on glass designs. 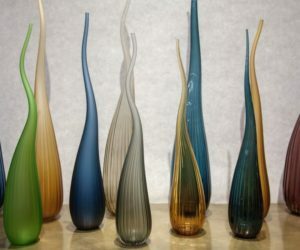 A good example would be the series, a collection of hand-blown glass items with curvy forms that become thinner towards the top. 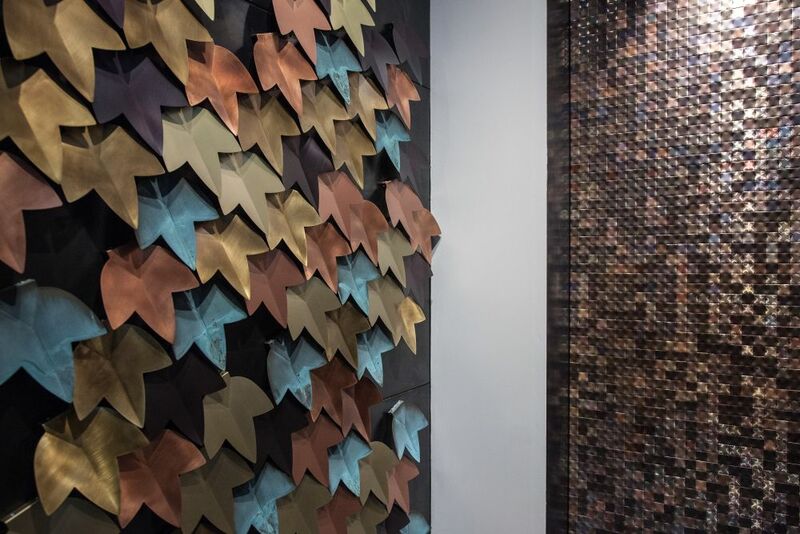 They were displayed in a variety of colors and two types of finishes. 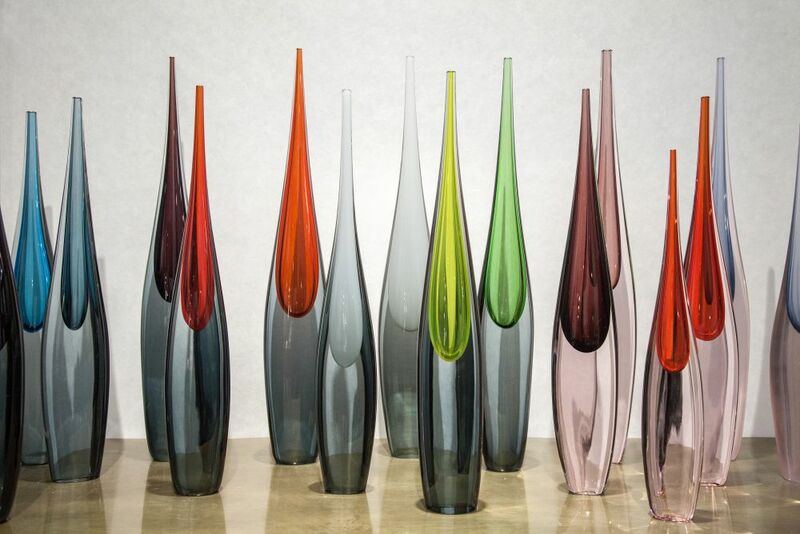 A similar collection was the set of vases designed by Luciano Gaspari. 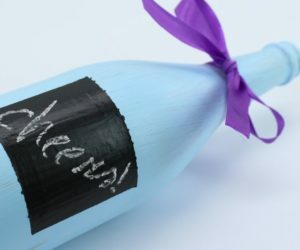 a renewed version of the vases showcased at the . 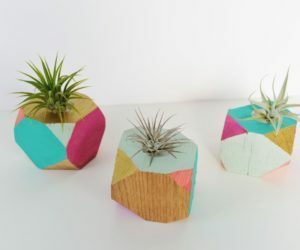 They’re tall and slender and they can look good as standalone objects. 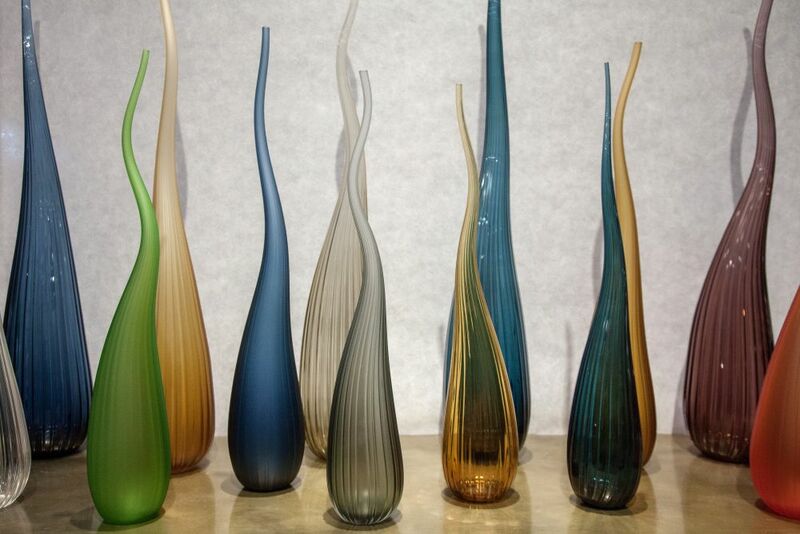 The vases also come in a variety of colors and in three different sizes. Clocks went from being a must-have that helped us tell time to being a purely decorative element kept out of nostalgia. Of course, innovations are still made and a perfect example is the series of Takto Timepieces created by that was present at the fair. 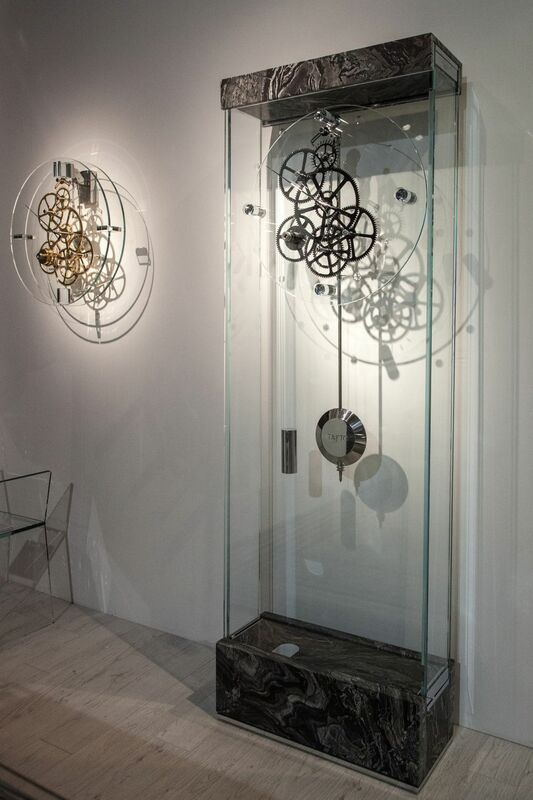 The collection harmonizes form and function and makes clocks fashionable again. 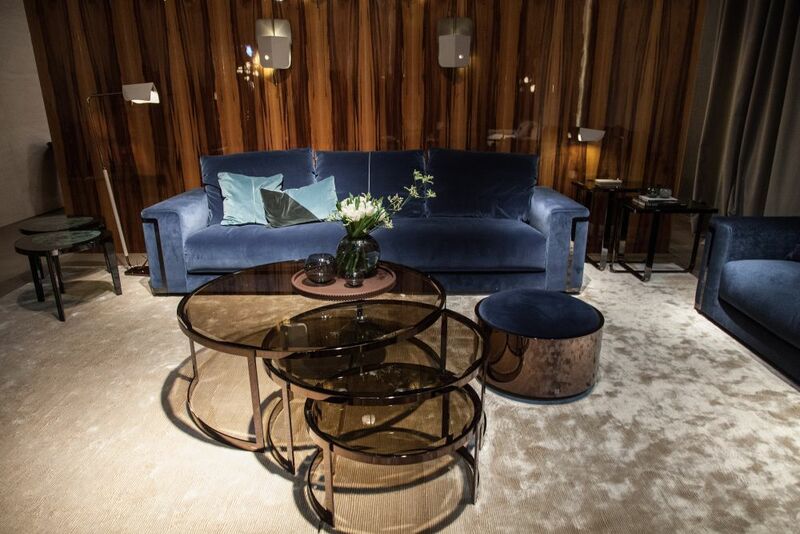 Side was present with a very interesting collection of furniture and decorations that stood out thanks to their highly sculptural forms and designs. 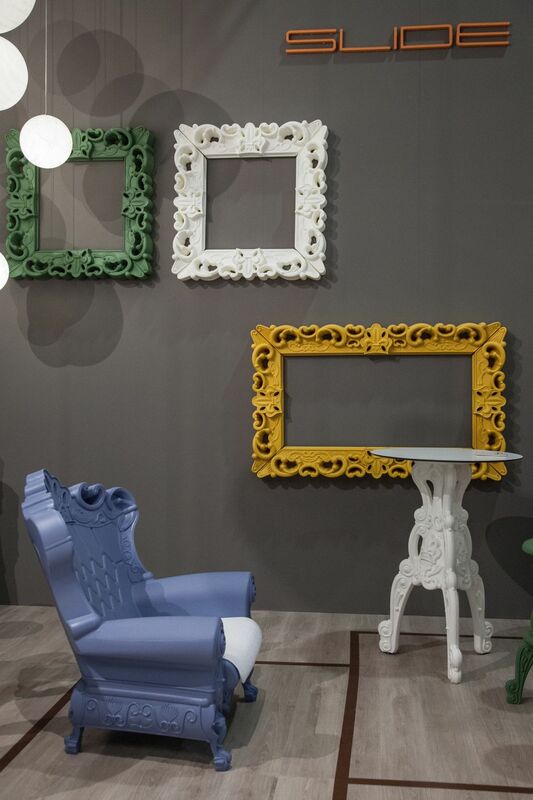 The collection included the , and , a set of empty frames, an armchair and a side table, all full of elegant details and ornate features inspired by the baroque style. 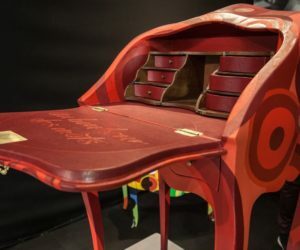 The hand-painted tile technique was materialized and highlighted at the fair in the form of an eye-catching sideboard with a very interesting structure formed of multiple layers. 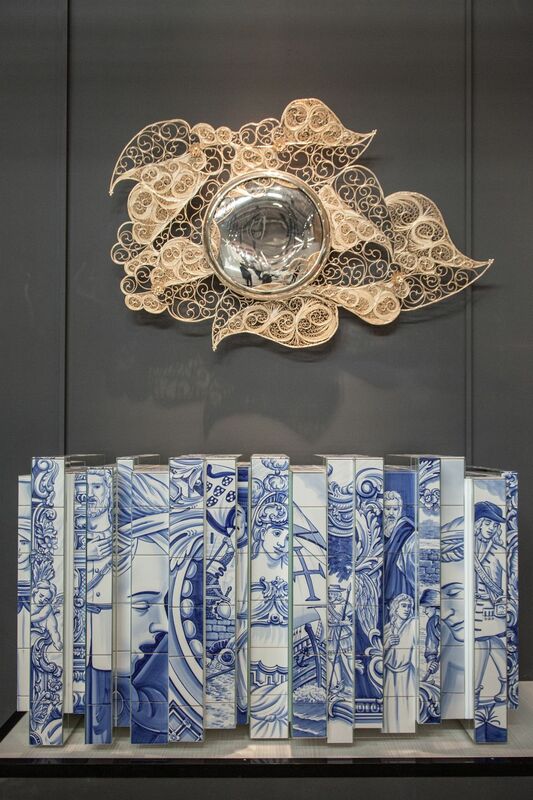 The designed by Boca do Lobo with its intricate design and story is reminiscent of traditional ginger jars. Above was the inspired by an old jewelry making technique. 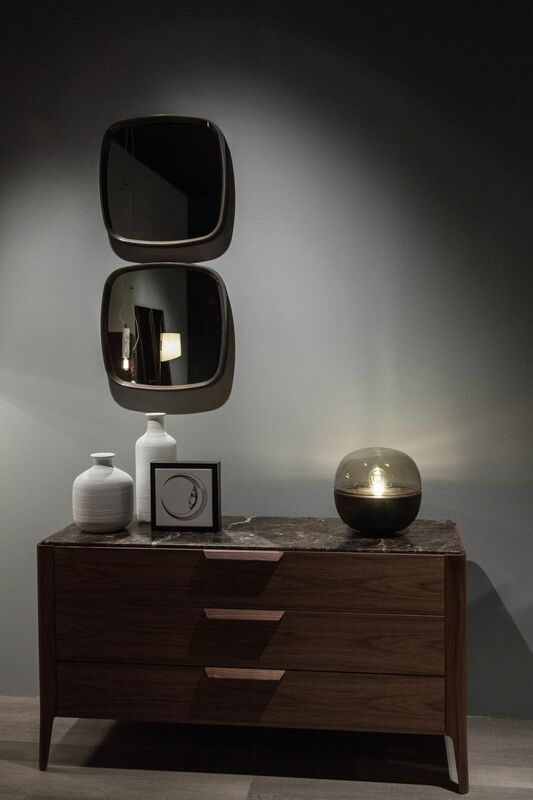 The mirror is completely hand-crafted and its form is inspired by the Portuguese culture. Each of the furniture pieces in this cozy corner could be a wonderful standalone product but they also look very beautiful when put together, completely each other and resulting in harmony. 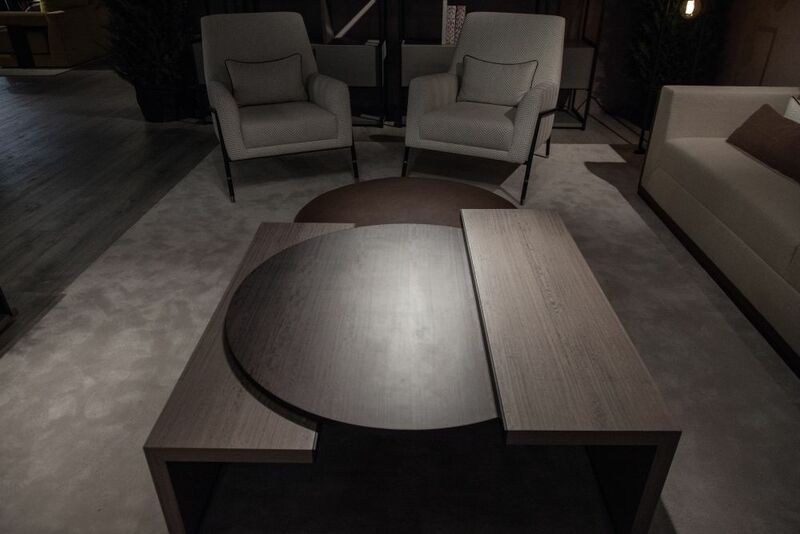 The set displayed here comes from Meridiani and includes the armchair, low table and the bookcase. 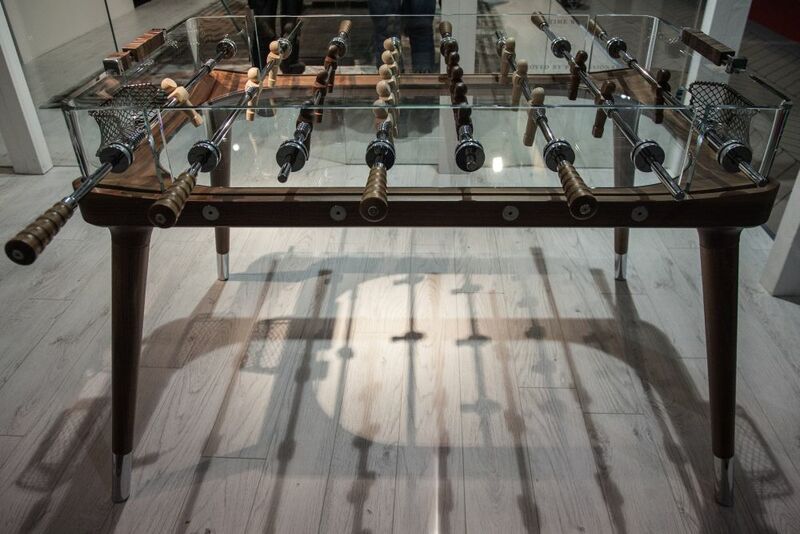 This would have to be the fanciest foosball table we came across, not just at the fair but in general. It’s called and is was designed by Teckell. We got to admire two versions, one of which was the gold-plated 24K gold . Both versions share in common a clear glass structure with beveled corners. 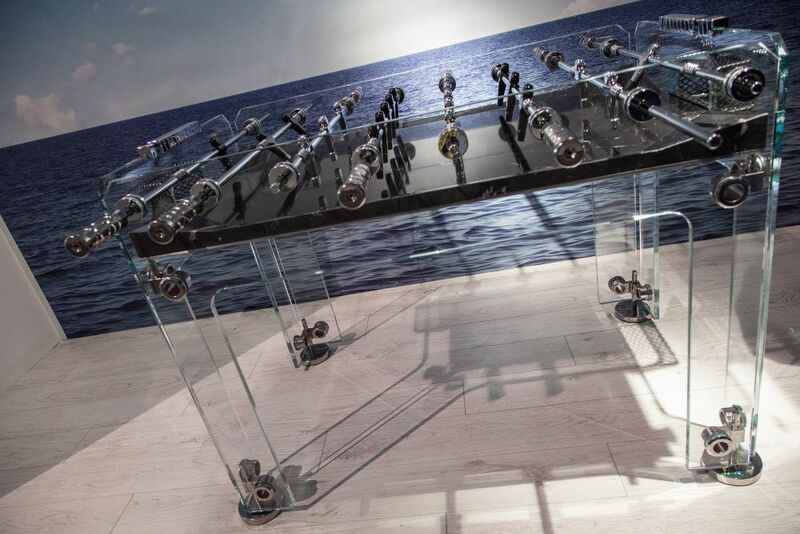 The playing field is in laminated shatterproof crystal and the players are made of aluminum with different finishes. Hidden feet allow the table to be leveled and adjusted. Few people write these days so it becomes a bit difficult to find a stylish writing desk. 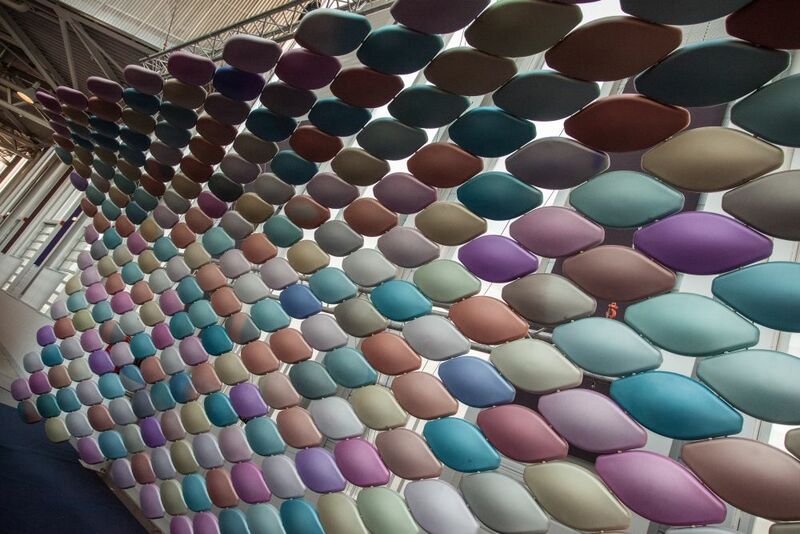 There are still options and we got to see one at Maison & Objet this year. 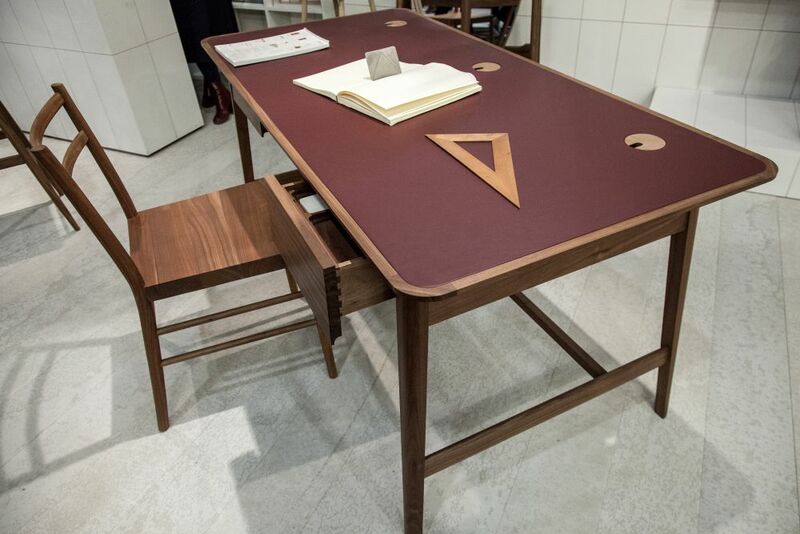 The desk by Pinch stands out thanks to its inlaid leather writing surface and the overall simplicity of its design. Storage is offered in the form of two drawers and there’s also an integrated cable management system for those times when you’d rather use a laptop. We also got to meet the , not the celebrity but the table. 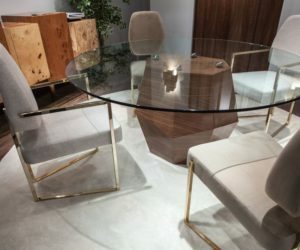 The table has a robust wooden base with a geometric form meant to resemble the irregular nature of rocks, hence the name. 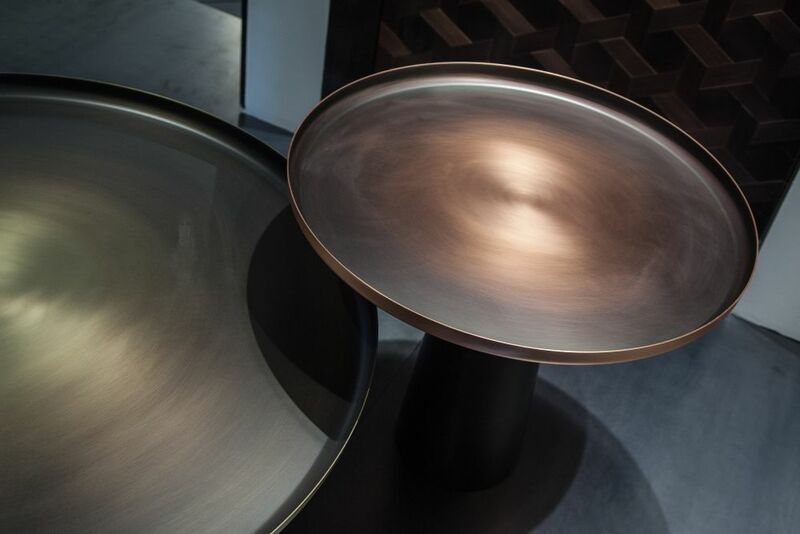 A round glass top completes the piece, ensuring a clear and transparent design. Overall, the design is simple but distinctive. The table was paired here with , chosen for their elegant allure and simple silhouette. 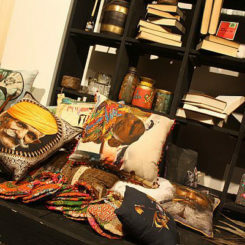 Check out the newest creations from Moustache. 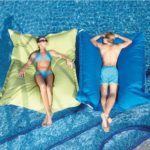 The and are indeed bold and eye-catching, They feature metal structures wrapped in polyurethane foam and removable textile covers and they look a lot like sculptures or decorative items rather than actual usable furniture. The that complements them is pretty cool too, also featuring a playful and graphical design. 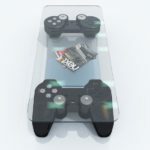 Speaking of playful designs, Moustache also came with this interesting coffee table called . It has a design that split it into two separate surfaces placed at different heights and with tray tops, like two branches of a large tree. 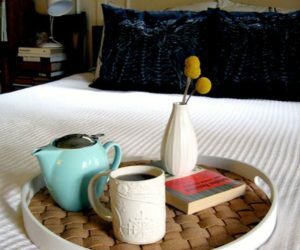 It’s a pretty small table so it would be interesting to combine with other similarly interesting accent pieces. 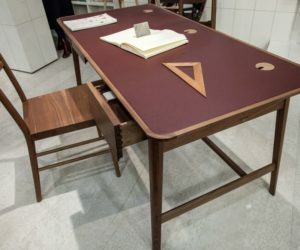 Although not a new creation, the table series still turns a lot of heads. 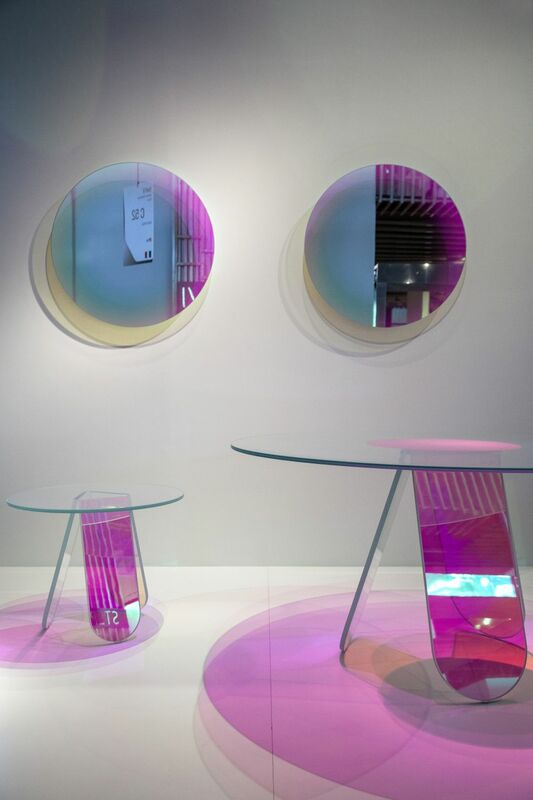 The collection includes high and low tables and consoles made of laminated and glued glass and their most interesting feature is the iridescent multichromatic finish which changes color depending on the angle. 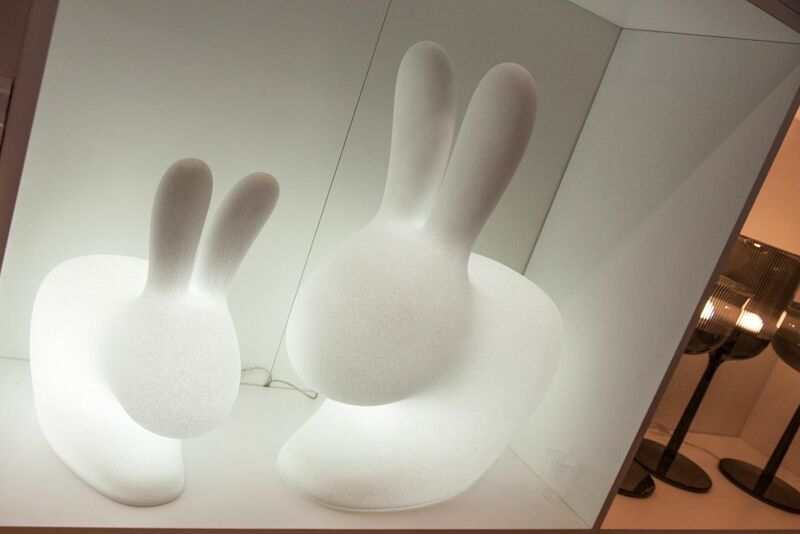 The Rabbit Lamp by adds a little bit of magic to any space you place it in. 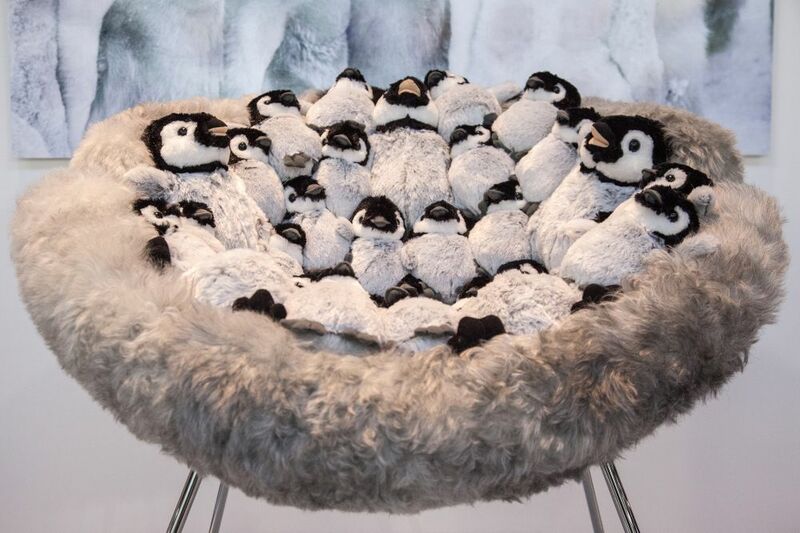 It’s the perfect accent piece for a room that needs some personality. There are two versions of the lamp available, one for indoor spaces and one for outdoor environments. 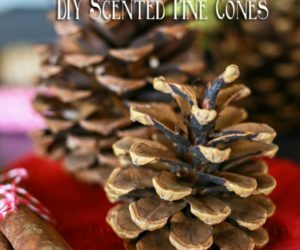 They’re both made of polyethylene and have a gentle and cute look. came with a similar concept in the form of the Monkey lamp series. 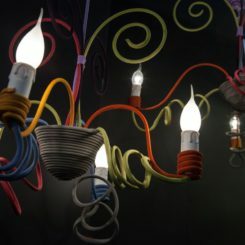 The collection includes, wall sconces, pendant lamps and also table lamps all inspired by the same thing: cute little monkeys that brighten up our spaces. 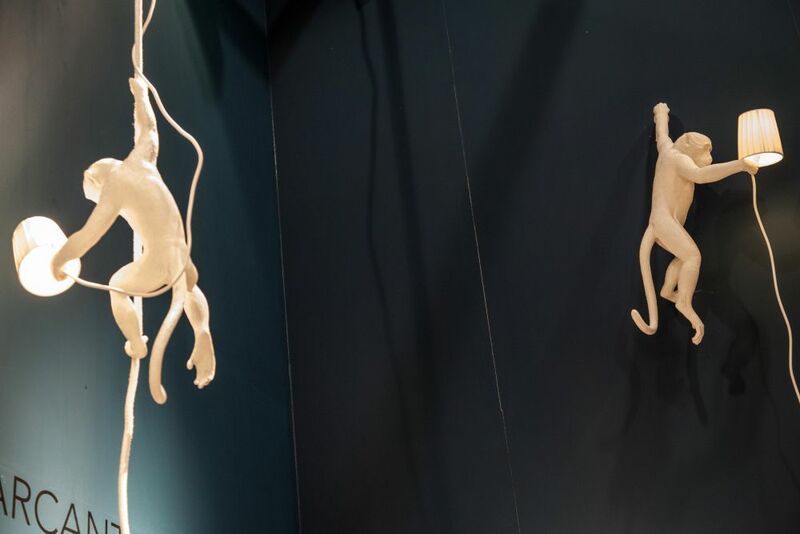 They look pretty natural, hanging from cords and climbing on walls. The inspiration for Blackbody’s new lamp series comes from bonsai trees, hence the name, . This chic collection created by Aldo Cibic&Tommaso Cora focuses on OLED lamps which tame the light and improves our relationship with it. The table lamp becomes a sculpture. 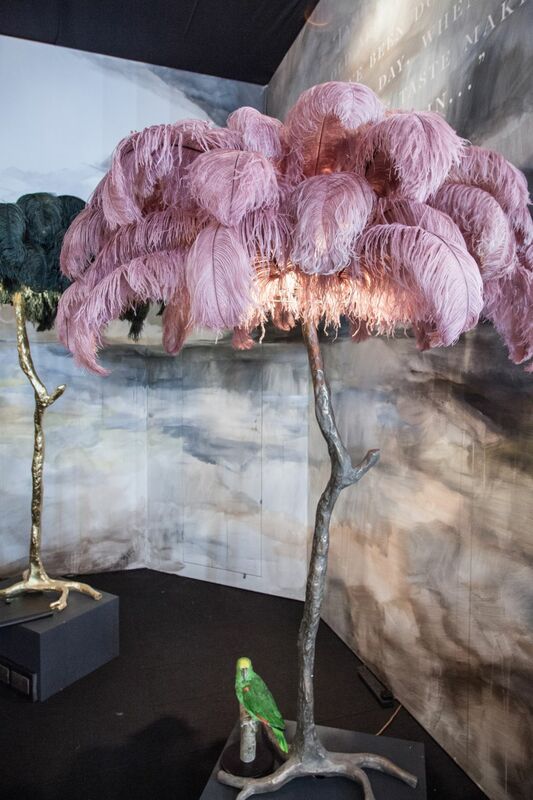 The Ostrich Feather Lamp was one of the most spectacular things we’ve seen at Maison & Objet. 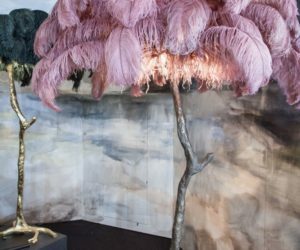 The lamp is designed by and it looks a lot like a palm tree but with…feathers. 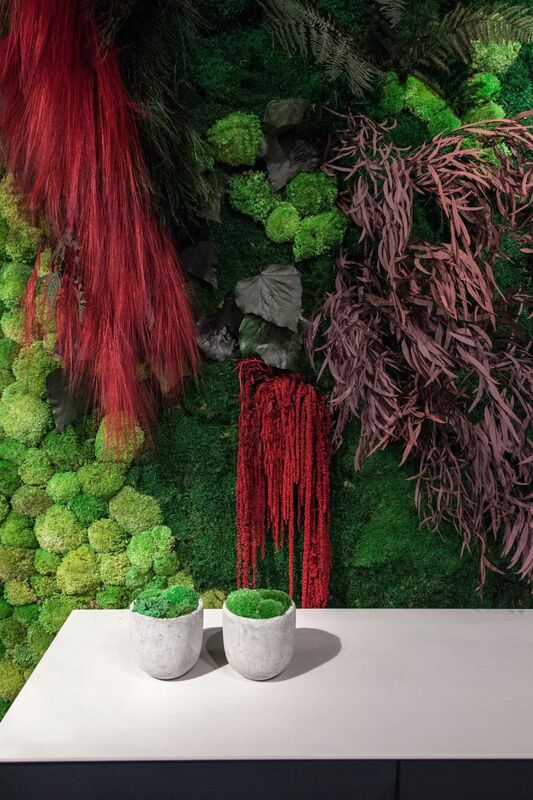 Its ostrich feather foliage is guaranteed to stand out and to become a focal point in any environment and decor. Several color options are available. 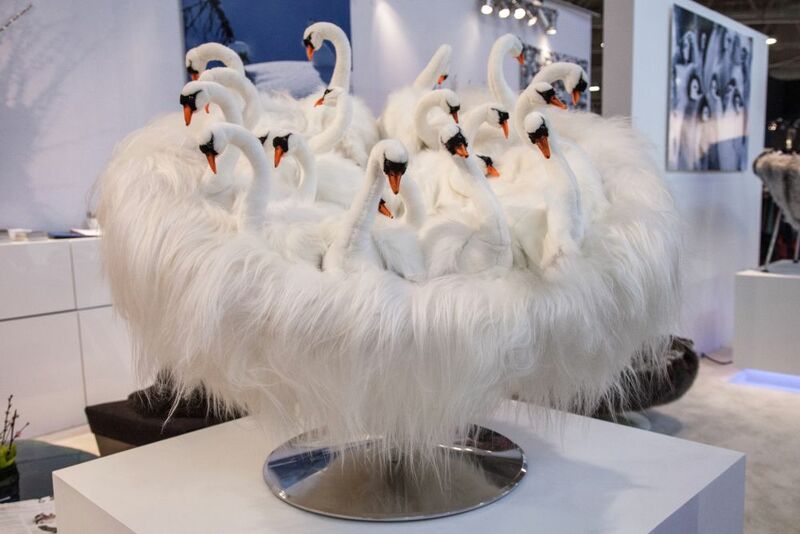 It seems that a lot of new designs at the fair were inspired by nature. 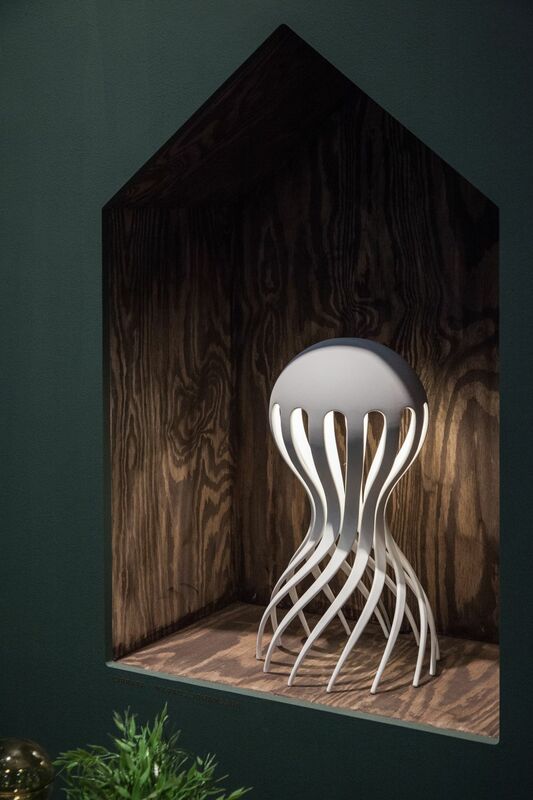 Another one is the lamp which looks like an octopus, being inspired by the creature that lives in the darkness of the ocean. 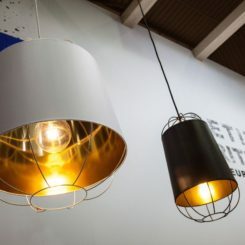 The lamp’s silhouette is delicate and graceful and what’s interesting about it is the fact that it’s made of aluminum. 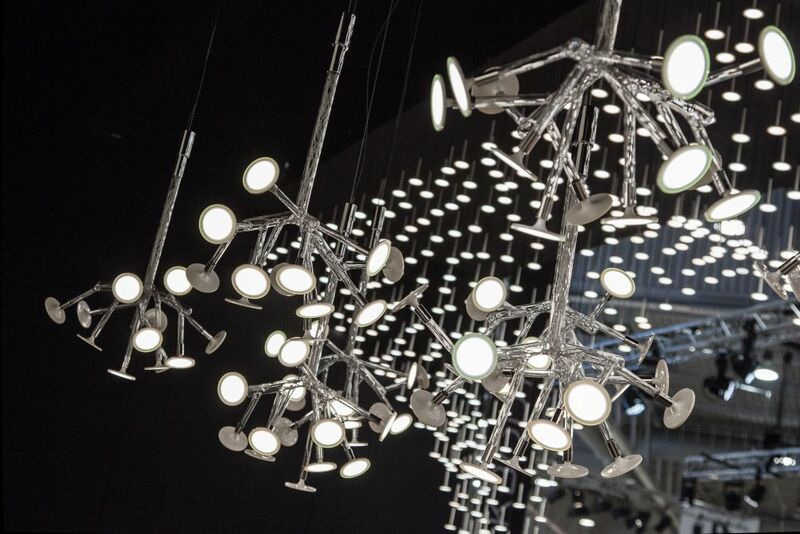 For the Botti chandelier, the inspiration was music. 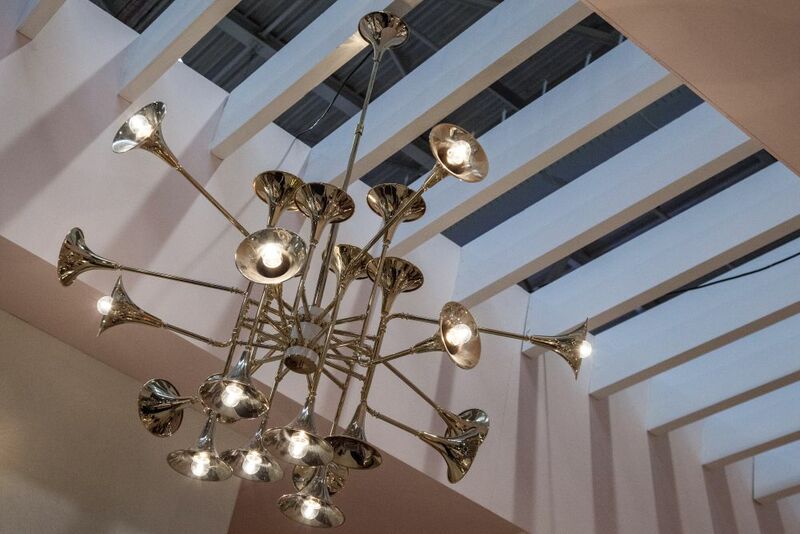 This is a light fixture presented by , with a rich design that takes inspiration from musical instruments. The structure is made of brass with a golden finish and the overall impression is that of a theatrical decor. Этот важный сайт с информацией про https://baly.com.ua.